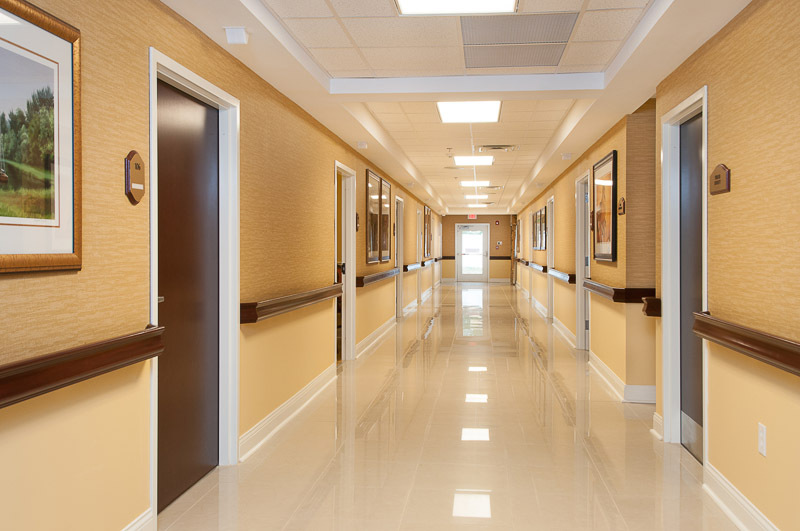 The renovation/addition project to this 100 bed nursing home in Bardstown, Kentucky included adding 15 new rooms and converting 15 rooms from semi private to private. Exterior improvements were completed to create residential character including the addition of new dormers, windows, porticos, and siding. 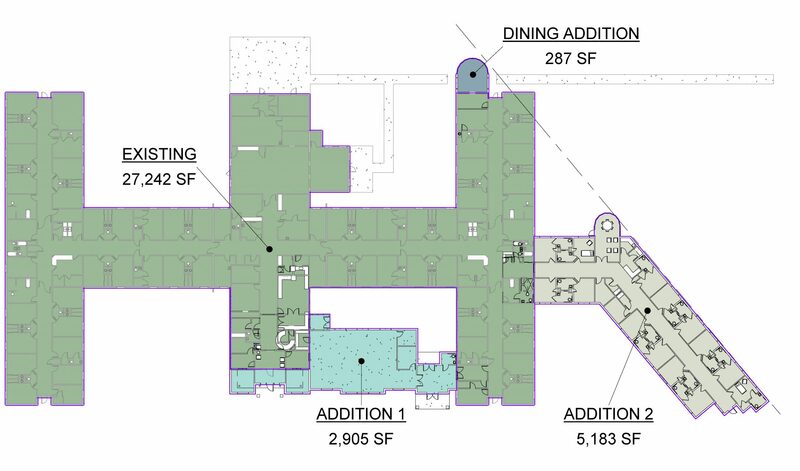 New interior finishes were also provided including restroom upgrades. 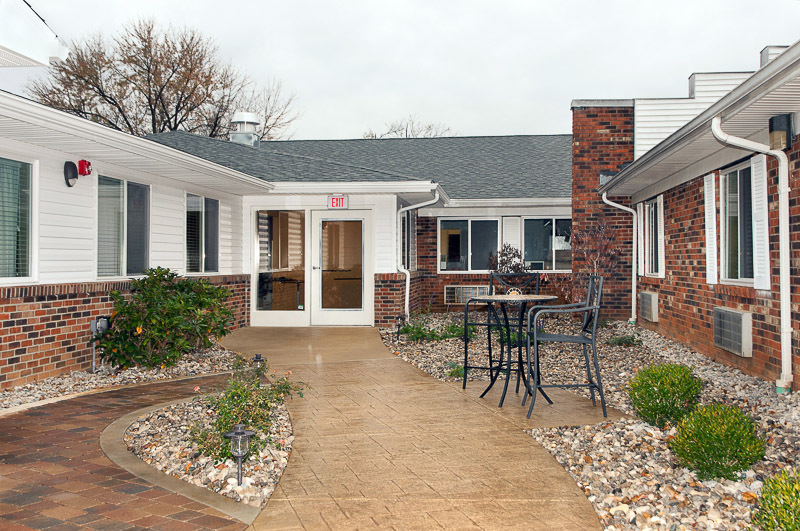 All work met the Nursing Facility Regulatory Requirements.